We established our business at the beginning of 2007 on eBay, where our makeup has become extremely popular. We wanted to provide a range of makeup that does not contain potentially harmful ingredients such as those found in many well known brands. 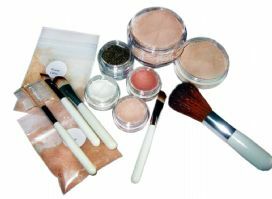 Our makeup also does not contain the possible irritant bismuth oxychloride which is used as a cheap filler in many brands. We found the coverage of many of the expensive brands to be poor so improved on this in our own range. Our minerals cost less and a jar lasts longer than jars of the same size from other ranges because of the improved coverage, you dont need to use as much powder at each application.